On every AGM, appointment shall be ratified by members to continue such appointment. Hence, from the above it is clear that a new auditor shall be appointed for 5 years always in general case. The simple reading of section 139(2) suggests that there are different provisions for classes of companies including listed companies in addition to section 139(1). (ii) An audit firm as Auditor for more than one term of five consecutive years. Then there is third proviso which recommends that the company falling under section 139(2) shall comply with the said additional requirements within three years from the date of commencement of this act i.e. till 31st March, 2017 and hence, one is not exempted from section 139(1). In view of interpreting the intent of section 139(2) and third proviso to it, Rule 6 of the Companies (Audit & Auditors) Rules, 2014 shall not be ignored and combined reading of the provisions contained in section 139(2), third proviso to it and rule 6 makes clear that the third proviso is applicable only in case of existing auditor being continued after the commencement of the Act. In the aforesaid matter, rule 6(3)(i) is very important, which states that the period for which the individual or firm has held office as auditor prior to the commencement of the Act shall be taken into account for calculating the period of five consecutive years or ten consecutive years, as the case may be. 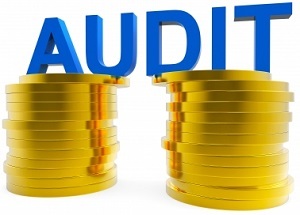 Looking at the third proviso to section 139 and rule 6(3)(i), the question may arise that what to be done where the Auditor has completed 3 or 7 years. It can be appointed for upcoming 7 year and the manner could be that first he shall be appointed for two years to complete his term of five years (3+2) and then he can be appointed for 5 years term. According to the prescribed table, he can be appointed for three years i.e. upto completion of transition period. From the above analysis it is clear that third proviso to section 139(2) is applicable only in those cases wherein old Auditor is being continued and in case of appointment of new Auditor, the appointment shall be of five years as per section 139(1) & (2).